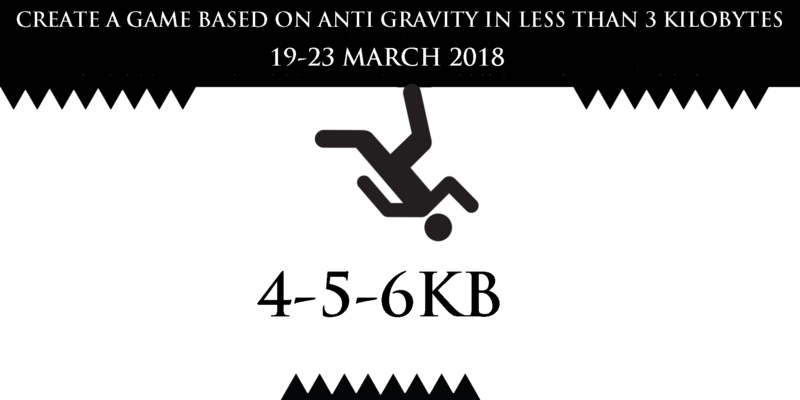 Welcome to the 1-2-3k, where you create a game in 5 days inspired by your favourite Anti Gravity! Anyone, regardless of experience, is welcome to participate! You can go solo or form a team! Maximum team size is 4. (not required). You can use any engine, including one you made yourself! Games must use anti gravity, but should not infringe upon any copyright or trademark (so please avoid using identical names, dialogue, appearances, or music). Don't start working on the game prior to the game jam, as it isn't fair to other participants starting from scratch. However, you may use publicly-available assets if you have the appropriate permission and mention this when submitting (there'll be a textbox). Your game must be free to play until the voting period is over. The voting period will run for roughly one weekend. There are no prizes however you will get a lot of feed back and experience! Can I start thinking of ideas ahead of time? Yes! Just don't start making the actual game until the start time, and remember to scale back your ideas! What platform should I create my game for? You are allowed to create a game for any platform; however, it is highly recommended that you create a game for the browser and/or as a Windows executable (Mac and Linux versions are a bonus - the more platforms, the better). Can I use other peoples' work in my game? We do not take responsibility for any unauthorised uses of other peoples' work (e.g. music, sound, art) and any consequences that may result from its use. Please use work that you are authorised to use or that you created from scratch yourself. Do I keep the rights to my game? Yes! You keep the rights to everything you create for this game jam. Is there any restriction on game engines? Nope! You are free to use whichever game engine you like - including your own custom-built engines - as long as you create your game code and assets from scratch. Resist gravity and don't decorate the pavement.